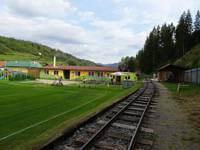 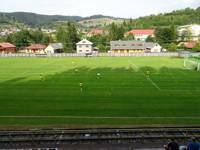 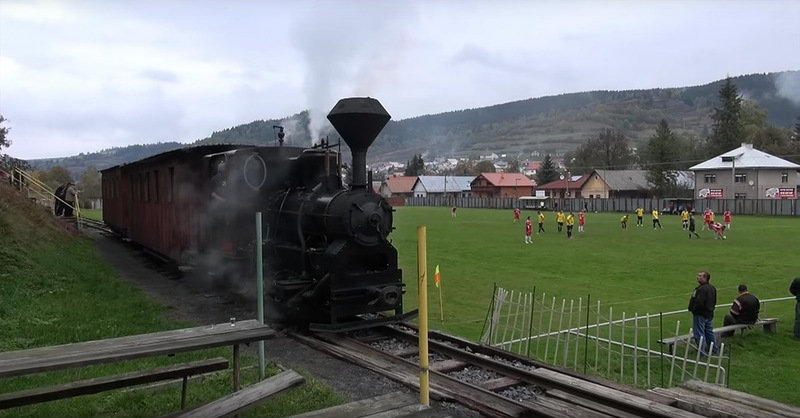 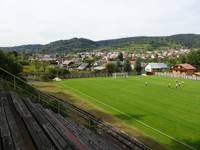 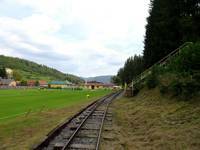 The municipal stadium in Čierny Balog became famous around the world in late 2015, when a short video clip went viral, showing a train entering the ground. 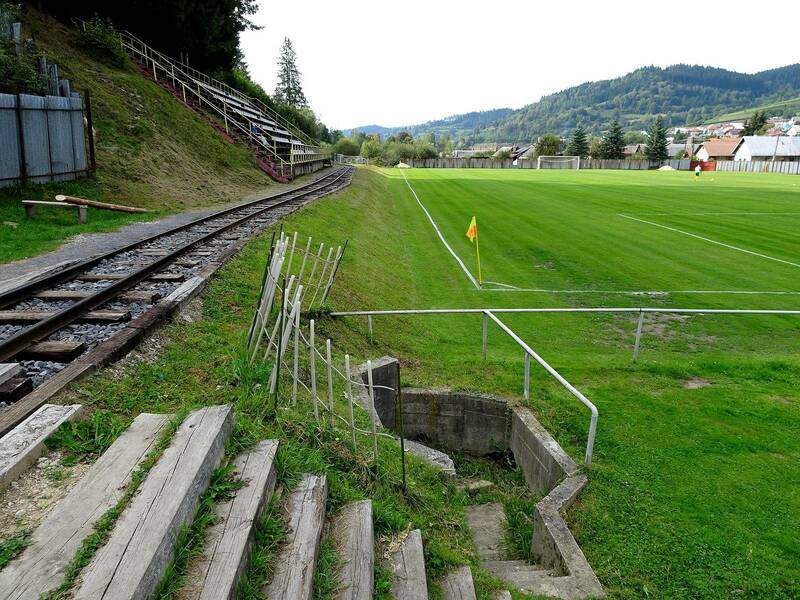 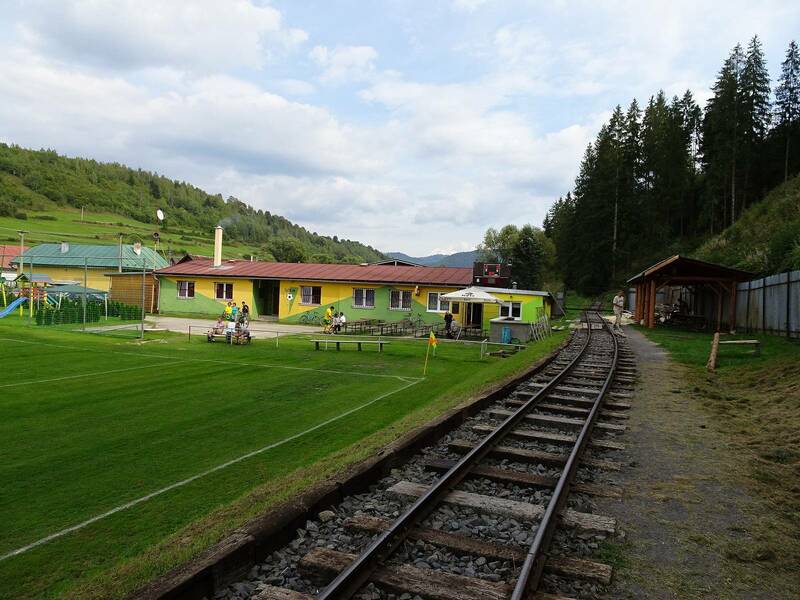 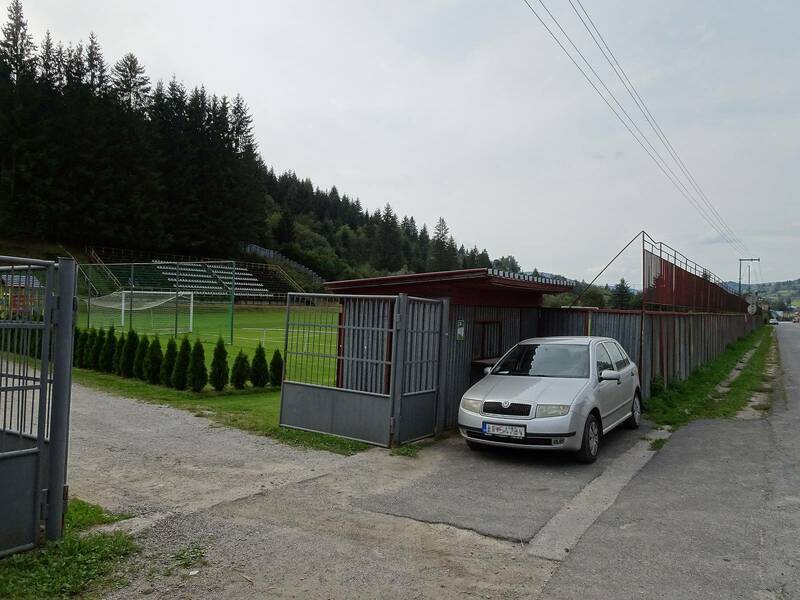 Indeed, field of play and the only grandstand are divided by narrow-gauge rails used by Čiernohronska Railway. 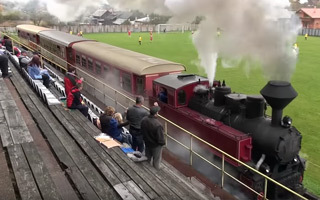 During the summer season trains filled with tourists run through the stadium every day. While the narrow-gauge rail allows passengers to enjoy the beauty of Low Tatras, so does the stadium’s grandstand. 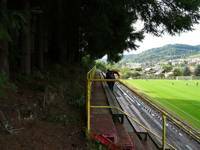 It may be small, but the steel structure resting on hillside is steep and offers a very nice panorama of the landscape. 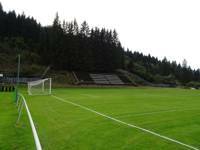 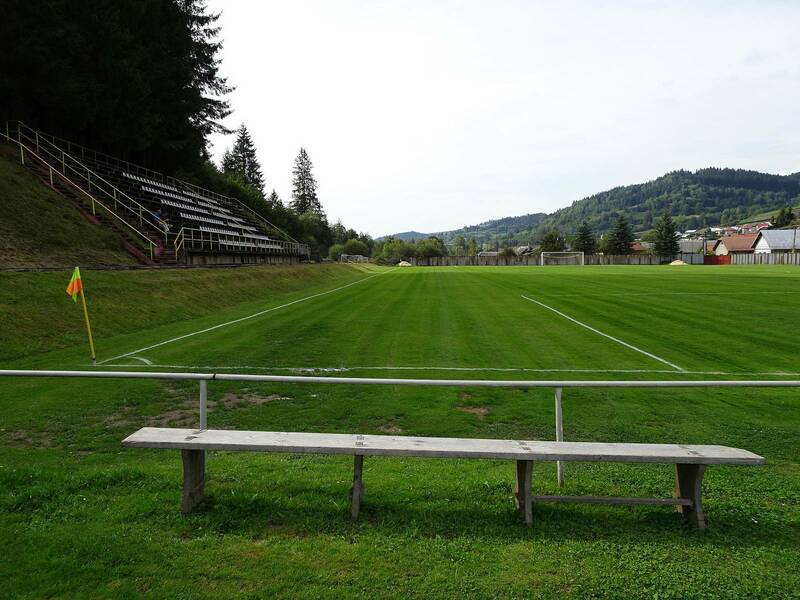 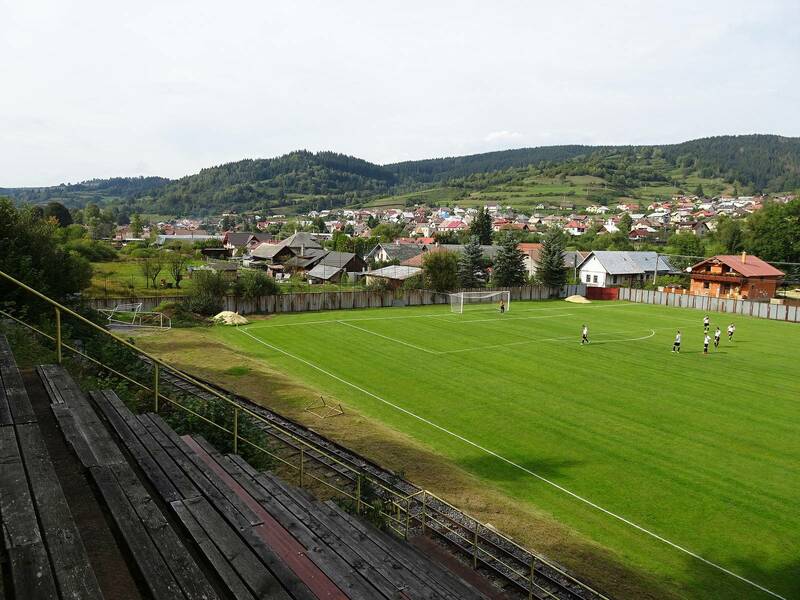 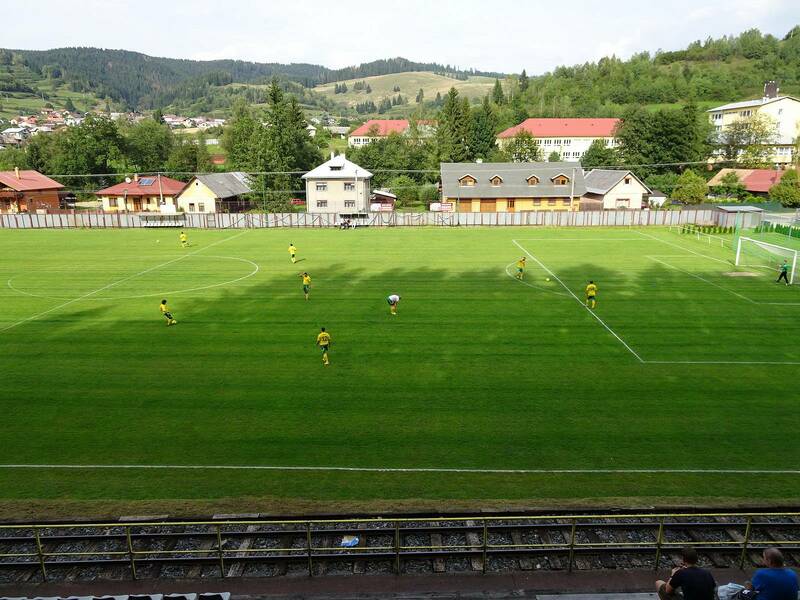 It also gives great view of the field, used primarily by players of the amateur side Tatran. 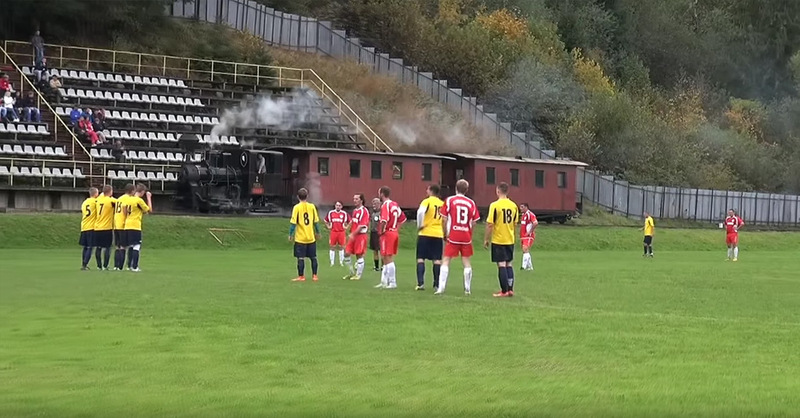 Whether on facebook, YouTube or just your local sports site, you probably already saw this amazing stadium. 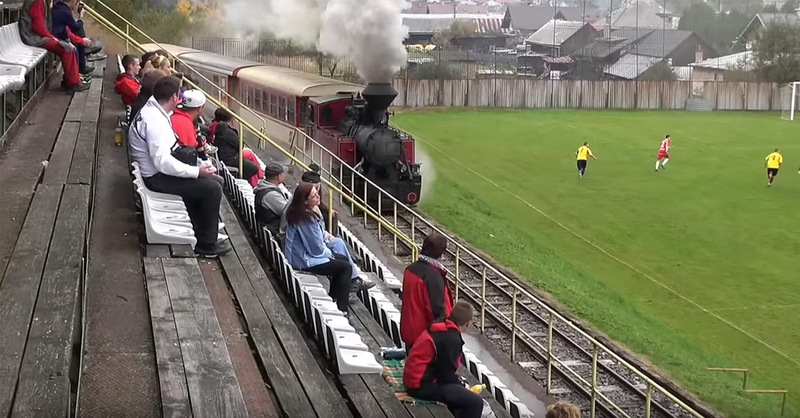 The only one we know of with operating railroad between the field and stands.